SPOILER ALERT: Some of the summons here will also contain information on how to find them. They are now known as Astrals, heavenly beings that protect humans. Like any Final Fantasy game, they come with a series Summons that can wipe out big bosses. However, unlike the past games, any battle ended or won using Summons does not grant the characters any EXP. Nevertheless, it’s still something to look forward to especially with the cinematics of each and every Summon. Different installments mean different names. In Final Fantasy VII, they were known as Materia – created by the Ancients. Final Fantasy VIII required players to draw them out from creatures at the cost of their memories, known as Guardian Forces. For Final IX, only a handful of people known as Summoners could call upon their power. Whereas, Final Fantasy X hailed them as Aeons. Each temple housed the remains of the Fayth that created the Aeon. However, in Final Fantasy XV, they go by a different name. They are known as Astrals. These other-worldly creatures are what protect the human inhabitants but can be completely indifferent to human affairs. They can only be called upon after Noctis forms a pact with them. Astrals can only be communicated to through the Oracle. They are beings known to be beyond the understanding of the inhabitants of Eos. They are known to protect humans and maintain the balance in the world of Eos to prevent daemons from wreaking havoc and rampaging across the land. Despite their duty to humans, they remain indifferent to human affairs. However, the Astrals are willing to communicate to the one they have established a pact with such as Ardyn and Noctis. In Final Fantasy XV, Shiva takes the human form of Gentiana, the messenger of the gods. Prompto also refers to her as Lady Lunafreya’s Partner-in-Divine as they are both mediators between the Astrals and the Humans. Ardyn Izunia adds that she is unlike most Astrals for she holds a certain level of affinity and kindness towards humans and is aware of her humanoid form. As a human, she has jet black hair and dressed in robes fit for a priestess. But when she assumes her true form, she is a woman with icy bluish-white skin who is scantily clad like many of of her previous designs. Unlike the Shiva’s of the past installments of Final Fantasy XV, she appears as multiple figures similar to ice nymphs instead of her usual single self appearance. She still retains her ability to cast Diamond Dust as her signature move. Her item to signify the pact between her and Noct is the Trident of Lunafreya and the mark of the Glacean. His initial debut was in Final Fantasy XV: Episode Duscae to showcase the summoning animations and the mechanics to the players in the early release. However, Ramuh is only discoverable in Chapter 5: Dark Clouds. Gentiana (AKA Shiva) tells Noctis that Lunafreya has already convinced Ramuh to form a pact with him. Also known as the Stormsender, Ramuh lives on multiple titles such as the Fulgarian for his ability to call down lightning to strike his foes. To gain his powers, Noct travels around the province of Duscae to locate the three runestones each embedded in different trees all across the province. When summoned, the skies darken and reveal purple bolts of lightning flashing through the sky. The winds howl and when summoned, Ramuh picks up Noctis to pull him out of the fray before unleashing his Judgement Bolt on all those Noct considers enemies. His oath item is the Mark of the Fulgarian. Carbuncle, in the Dissidia Compendium, is known as the”beast with a crimson jewel shining from its forehead”. Unlike the other summons, Carbuncle is a support summon. Carbuncle prefers placing defensive spells that can be useful for the party. In Final Fantasy IX, it was even possible to change the kind of spell it cast. Diamond Light casts vanish, Ruby Light (Default) casts Reflect, Emerald Light casts Haste, and Pearl Light casts Shell. Carbuncle’s animation often is accompanied by childish music and rainbow coloured lights. In Final Fantasy IX, it was one of Eiko’s first summons and was the seal on the Lifa Tree. 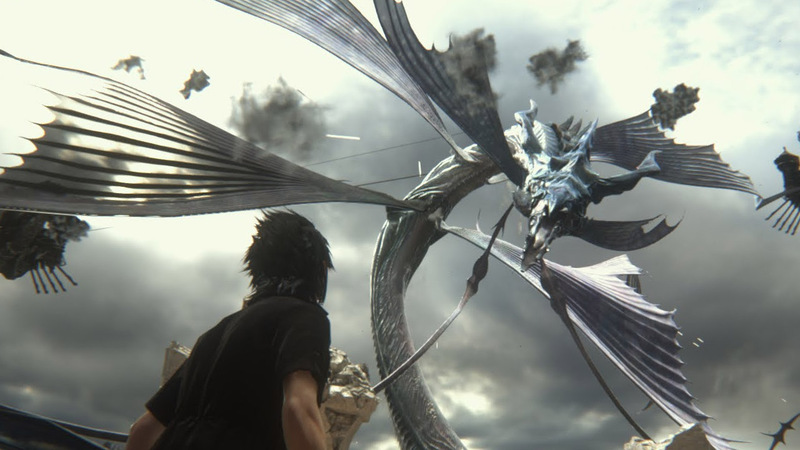 In FFXV, Noctis encounters Carbuncle as his Dream Guide in the Platinum Demo. A cut scene in the Platinum Demo reveals Noctis going through his dreams but being watched over. The person also tells him about how it is in his dreams that he is the king which leads to Noctis growing up into his older self. 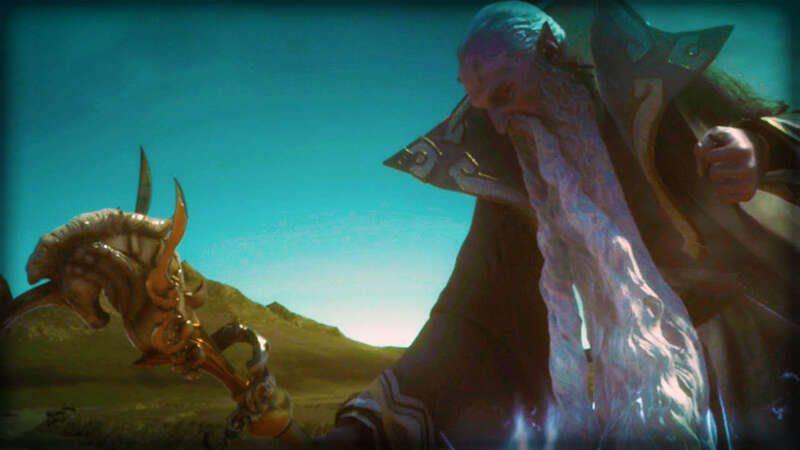 Although it’s not shown, it is heavily implied that his father – King Regis is the one who left him the statue of Carbuncle. 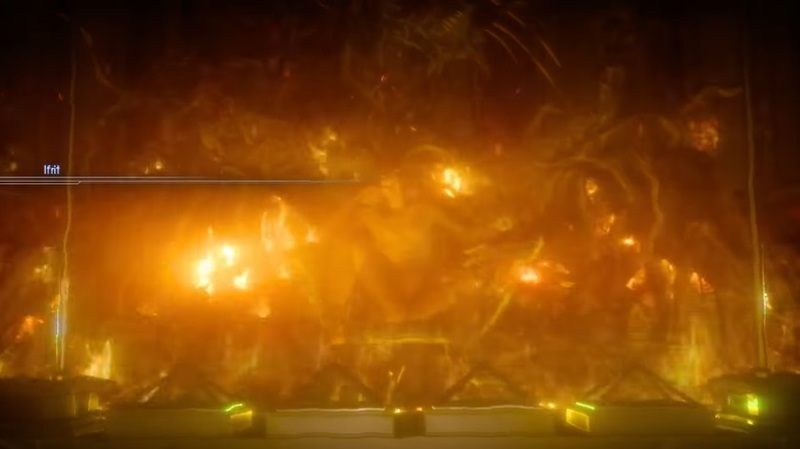 Known as the Archaean, Titan revealed himself in the Platinum Demo. While you can earn Titan from the Platinum Demo, Titan is an official and one of the main Astrals you can find in the main storyline. In Chapter 4, the Niflheim Empire attempts to destroy Titan using their Magitek weapons. However, Noctis and the others intervene in hopes of saving the Astral and also persuade him to help them defeat the Niflheim Empire army. When Noctis persuades him, Titan frees himself beneath the meteor he rests on and proceeds to wreak havoc on the Imperial army. Titan has a higher propensity to show up when Noctis is alone and all members are felled in battle. His signature attack is still Gaia’s Wrath. Leviathan, Astral of the Seas, lies beneath the seas of Altissia. Also known as the goddess of the seas, citizens knew her as intelligent and elegant with a cruelty to match both. She is “very close to the gods” and one of the most powerful Astrals in existence in the land of Eos. She would not hesitate to drown Altissia should someone slight her. Leviathan sank into a deep slumber for the next 1000 years until Lunafreya woke her up to form a pact with Noctis. Because of this and that the Empire was destroying Altissia, she decided to test the young prince. The objective was simple; stop her before she drowns everyone – the Empire, Altissia and all its citizens – and feeds on their corpses for food. Lunafreya passes on the power the kings of Eld to Noct to help him subdue the beast. And although he managed to severely wound her, it took the Archaean to punch her into submission. She is not summonable unless Noct is on low health, alone, and nearby a body of water. Lord of the Dragons and King of the Eidolons, Bahamut lives true to his name as the Most Outstanding and Most Powerful of the Astrals. Bahamut has appeared in many of the installements of Final Fantasy, often times engulfing the entire battlefield with a Mega Flare to destroy his enemies. In Final Fantasy XV at the end of Chapter 13, Noctis obtains him when he is absorbed into the crystal. Upon absorption, he speaks to Bahamut and learns about his fate. The Draconian reveals to him the truth about Ardyn and also Noctis’ duty. He tells him that the prince doesn’t just have a duty to the people of Lucis but, to the world of Eos. Bahamut appears when Noctis and the party begin their fight against Ifrit. Bahamut unleashes a storm of swords to attack the Infernian. He lends his power to Noctis with Ultima Sword and gives the prince enough power to slice off the horn of Ifrit. Ifrit, unlike Shiva, hates humans. And he doesn’t hesitate to show it either. When Ardyn consumes the entire Eos in darkness, Ifrit sits on the throne inside the citadel. There, Noctis fights him with the rest of his party members. Ifrit still maintains his demonic humanoid form. He still has his hocked joins and large ram horns sprouting from his head. 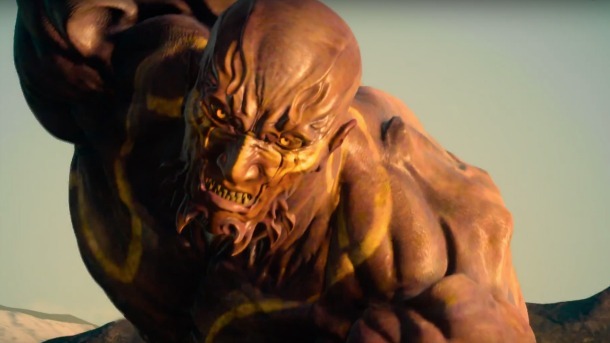 Unlike the other versions of Ifrit however, he does have a more human face rather than a bestial one. Because of his hatred for humans, it’s impossible to get Ifrit as a summonable astral. Instead, you’ll be made to fight him. After Ardyn makes a pun about him giving Noct and the others a warm welcome, the prince proceeds to fight Ifrit in the middle of the castle grounds. 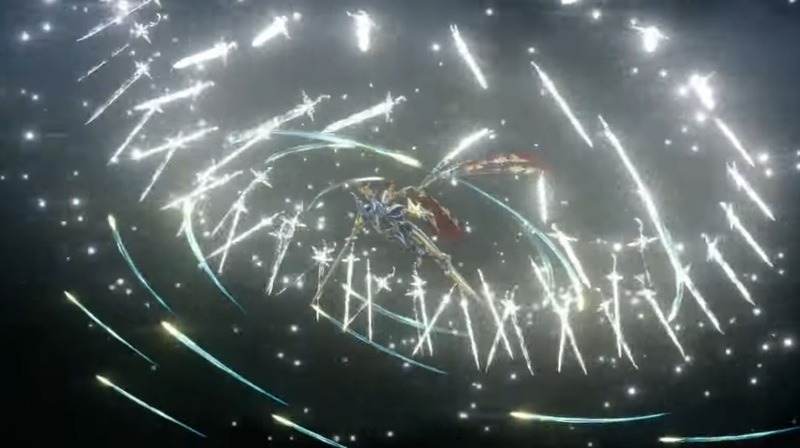 There, Bahamut appears to aid Noctis with a rain of swords. The two astrals have a brief skirmish before he engulfs himself in fire. At the end of his ropes, Shiva appears and freezes Ifrit before shattering him into a thousand pieces.